Modular construction is inherently green. Constructing rooms, wings and buildings in a factory setting naturally contains contaminants that might otherwise be released into the environment during onsite construction. In addition, modular buildings go up faster than traditional buildings, reducing the carbon footprint and noise pollution on the site. The modular building process also decreases the time required for restoration of surrounding green spaces. The process of building modular offers unique benefits that contribute to the sustainable building initiatives. 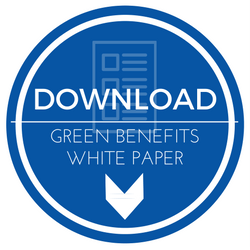 Learn how modular construction can not only meet or exceed the standards of traditional construction, but also benefit the environment in our Reduce and Reuse White Paper. If you are considering new construction, modular buildings can help satisfy your environmental requirements. Our custom modular building floor plans and designs can accommodate a new or used, permanent, temporary, mobile or relocatable requirement.